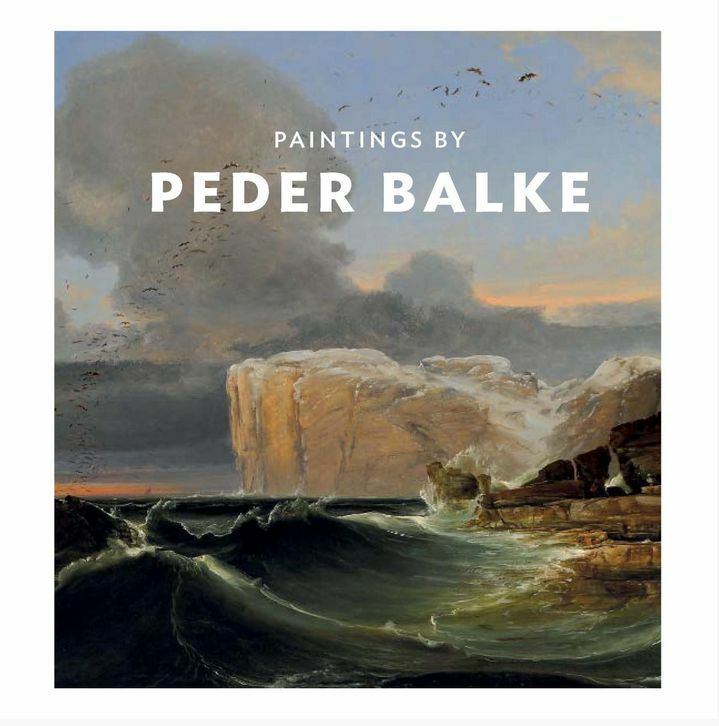 I knew nothing about Peder Balke (1804-87) before my pal Bob suggested we go to see the exhibition at the National Gallery (on till April 12 2015). I learned that the Norwegian had made extensive trips around the coast, and then revisited some of the scenes in his imagination, such as North Cape, repeatedly for years. This is the dark side of Romanticism, with Tolkienesque swarms of seabirds, moonlight behind clouds sending eerie beams over storm-tossed seas, towering cliffs and glaciers. Not all of it worked for me. Some pieces, such as a broken tree in snow, had Bob and I saying “Christmas card” to each other, and comparing it unfavorably to Caspar David Friedrich other work was fascinating. Later, when the public lost any interest in his work, he began to develop a freer brush sense, and reducing his palette to black and white to depict stormy seas or even the Northern Lights. These latter paintings, claimed by his fans to be early precursors of Modernism, apparently languished in his attic till his star gradually rose again. 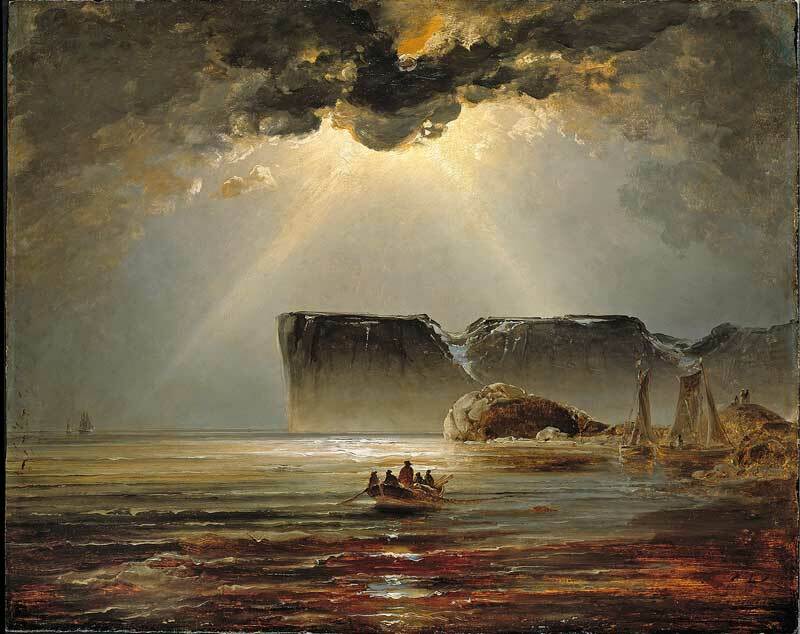 North Cape, Peder Balke, (c) The National Museum of Art and Architecture, Copenhagen. I was also reminded me of Roger Dean’s improbable SF-tinged landscapes of the 1970s too such as the coastal scene below. I’d recommend popping in to see for yourself should you find yourself at Trafalgar Square. This entry was posted in Art and tagged Caspar David Friedrich, Peter Balke, Roger Dean, The National Gallery, Trafalgar Square. Bookmark the permalink.